The Cat Mod – Lounge is a great starter package or a way to add a little extra to your current Cat Mod setup. 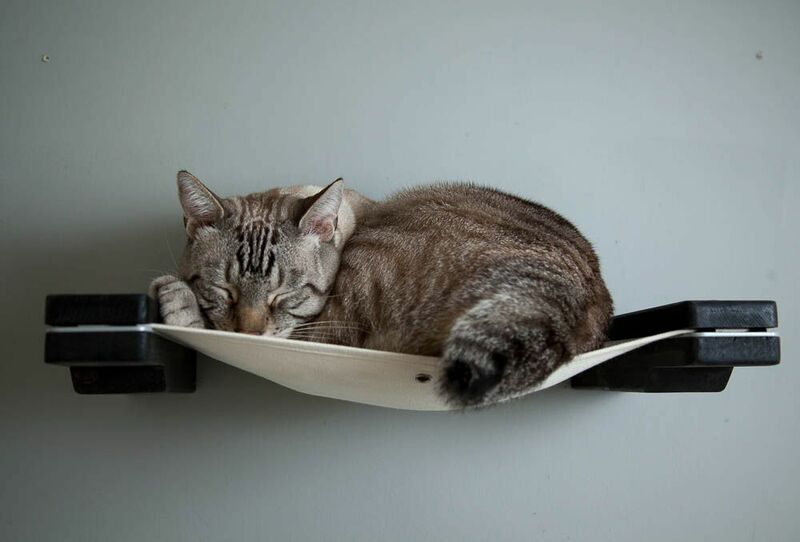 Our cats love to lounge on these hammocks or use them as steps to get to other pieces on our walls. There are two wooden planks and a fabric hammock. *A note about mounting your Cat Mod Lounge: The 16″ and 32″ lounges are meant to mount into studs at 16″ apart on center. The 24″ lounge is meant to mount into studs at 24″ apart on center. 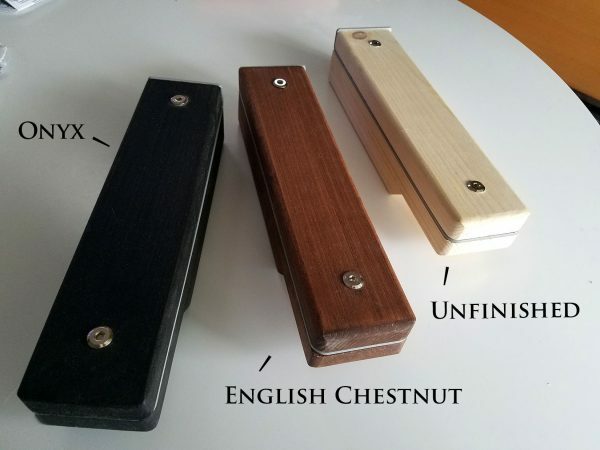 The Cat Mod – Lounge comes in your choice of English Chestnut stain, Onyx stain or Unfinished wood. All sets will come with the canvas color of your choice. 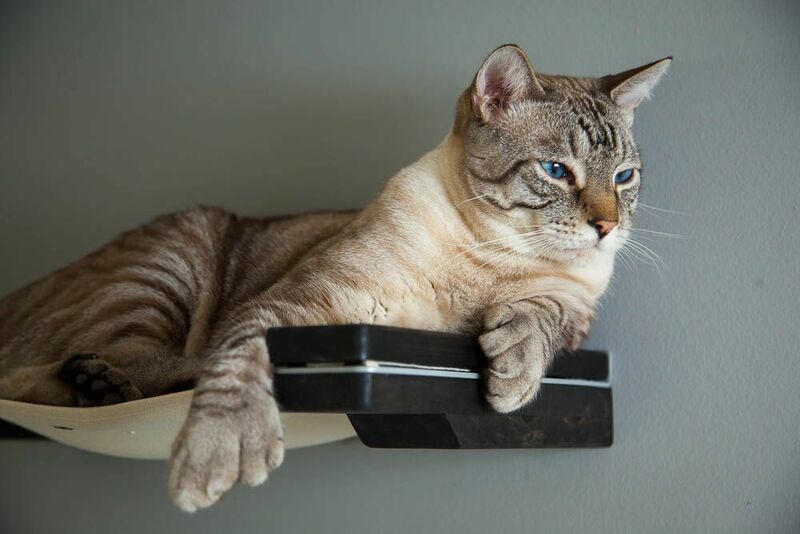 My cats love the Cat Mod Lounge and the rest of the Cat Mod products we have! I highly recommend these products, they are extremely well made, fun for the cats and pleasing to look it. 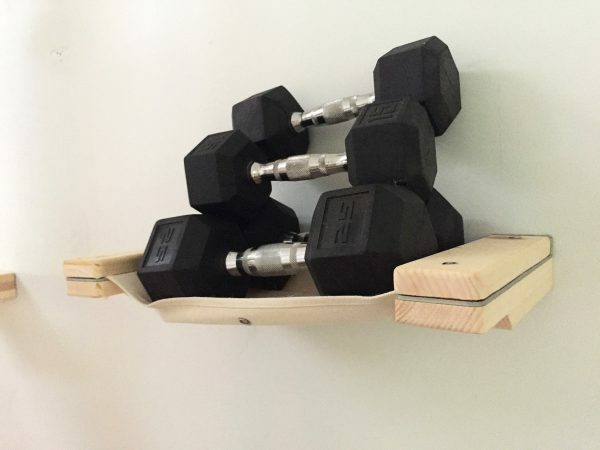 Functional wall art! 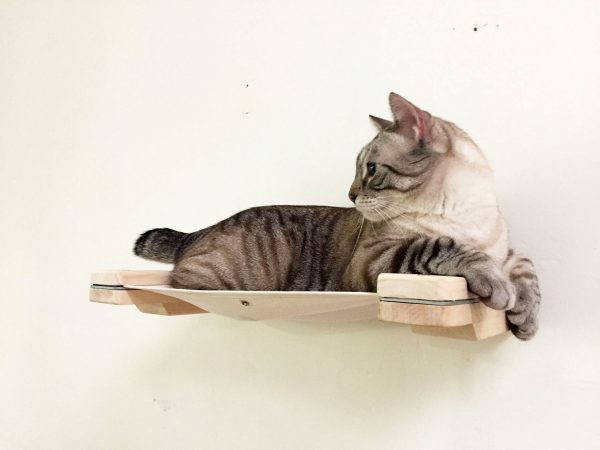 "I ordered this as a stop for the cat bridge we also got. The hammock is solidly made. 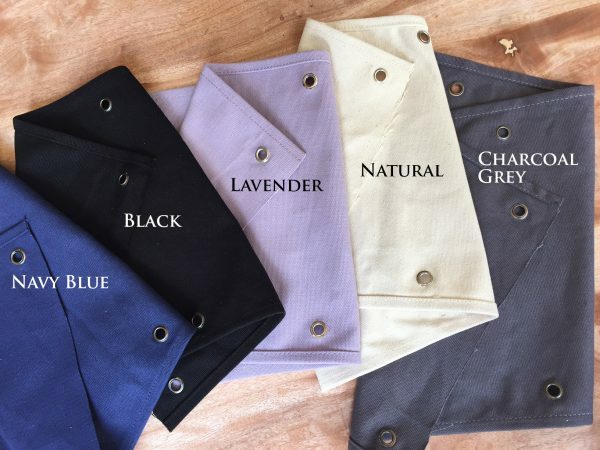 You are able to pick from many types of fabric. Instructions to put it up were included and as well as tips on how to get your cat to enjoy it, and what not to do. Always helpful to know." 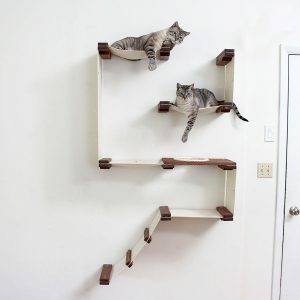 "The cat shelf was easy to put up and very stylish. I love it! And so does my cat!" "Shelf is well-made, easy to install, and the cats love it! Came with very clear instructions, all necessary hardware, and even a small level, which was very thoughtful and handy. 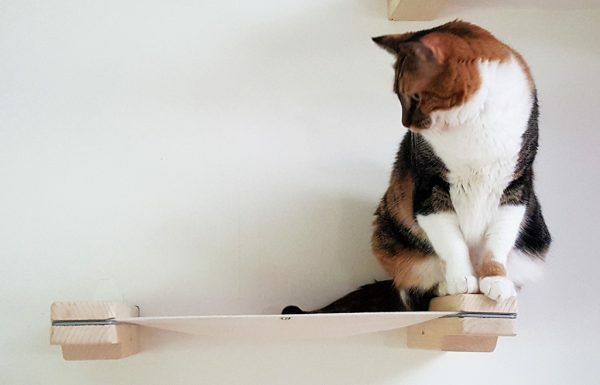 The shelf is very sturdy and the cats jumped on it immediately. Would definitely order from here again - great products, customer service, and timely shipping."